This past spring we began our homestead orchard which is a bit more challenging than it sounds. Our homestead is located in northern New Hampshire and is only a little over an acre so space and climate requirements are of great importance. Eventually these are the plants we settled on. These were actually my personal favorite probably because of the immediate reward. They are an ever bearing variety so the harvest is spread out through the summer and fall. We planted 25 bare root plants in the spring and got several buckets of strawberries even in October! I’m happy that they will provide us with fresh berries for several months. This spring we plan to add EarliGlo Starwberries which are heavy June bearers. These will give us a lot for the freezer and possibly a few for the farm stand. 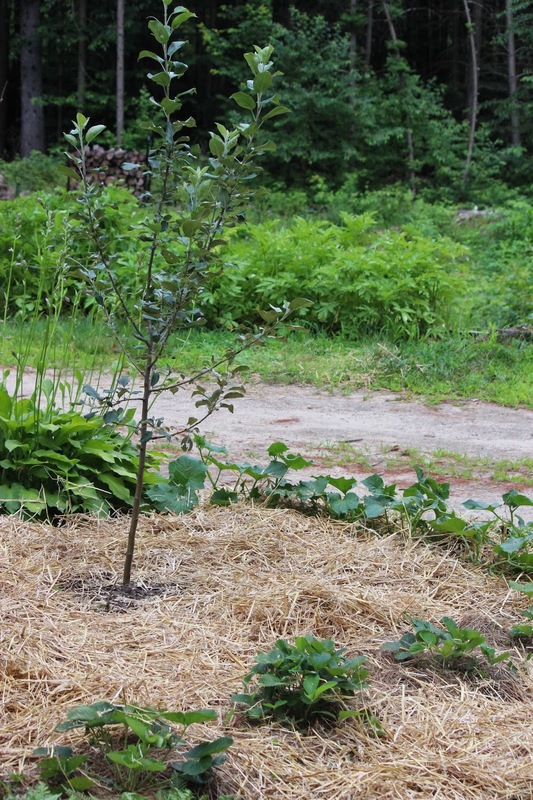 We planted these because they stay small, are very cold hardy (developed right here in New Hampshire actually), and we haven’t found a source for local peaches. Raspberries are a family favorite and they are often outside of our budget. These ever bearing plants will hopefully provide us with lots of fresh berries. We planted one Honeycrisp and one Jonathan Red. Apples are readily available in our area but we use a lot of them. Each year we put up applesauce, apple butter, vinegar, and pie filling. Next year we hope to add hard cider to that list. So though they won’t make up our entire needs they’ll be used and its a New England tradition to plant apple trees. We only planted two of these but they are cold hardy and when mature will produce pounds of berries. They mature much faster than trees and blueberries can be pricey to purchase locally in our area. These are awesome. We planted them in front of our house because they don’t get more than 3 feet tall so they won’t bock the windows. Now we are growing food in a previously unused space. Their small berries also have a more “wild” flavor. Well this one may have been an impulse purchase, we were placing an order and it was on sale for $7 so now we can have our own raisins and stuffed grape leaves. What are you planting at your homestead? Feel free to leave us comments or links to your own homestead blog below. We love hearing our reader’s ideas! If you need some extra advice on planting bare root trees you can read our article about that here. Thanks for visiting. 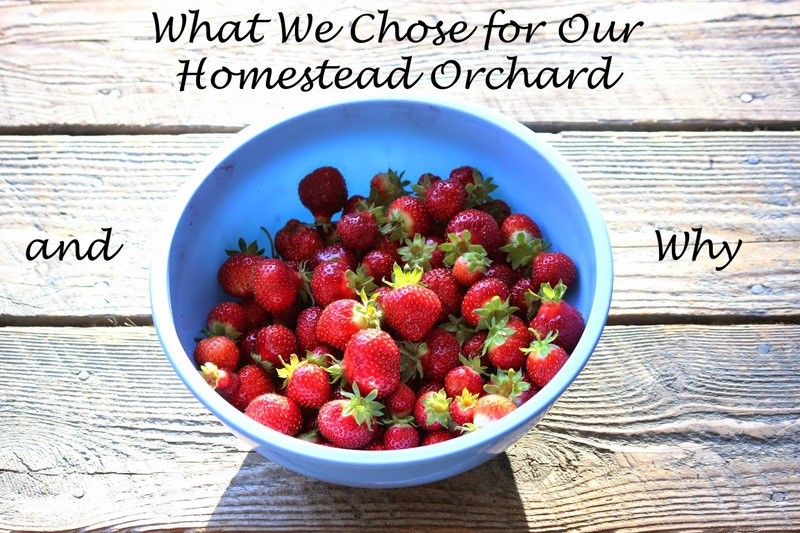 2 Responses to "What We Chose for Our Homestead Orchard and Why"
Thanks so much and that's awesome! I would love to add some pears they're actually one of my favorites but we have been adding slowly because of the cost.